FRESH INVENTORY! CLEAN CARFAX! 1 OWNER! FACTORY WARRANTY! PERSONAL LEASE! M SPORT! PRIOR CPO CAR! LOADED (M-SPORT PACKAGE - DRIVER'S ASSISTANCE PACKAGE - COLD WEATHER PACKAGE - PREMIUM PACKAGE - LIGHTING PACKAGE - TECHNOLOGY PACKAGE!!!!) WOW THIS CAR IS LIKE BRAND NEW! GORGEOUS COLOR COMBINATION! ADAPTIVE XENON HEADLIGHTS, NAVIGATION, BACK UP CAMERA, BLUETOOTH, HARMON KARDON PREMIUM SOUND, HEATED SEATS, HEATED STEEERING WHEEL, KEYLESS ENTRY, KEYLESS PUSH START, POWER LIFTGATE & MORE!!! 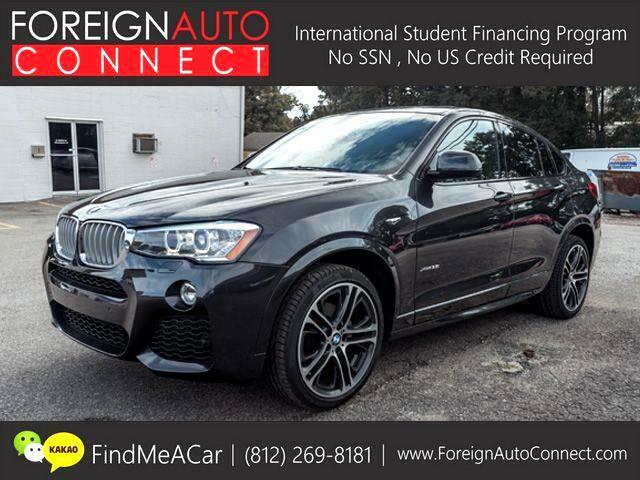 Message: Thought you might be interested in this 2015 BMW X4.